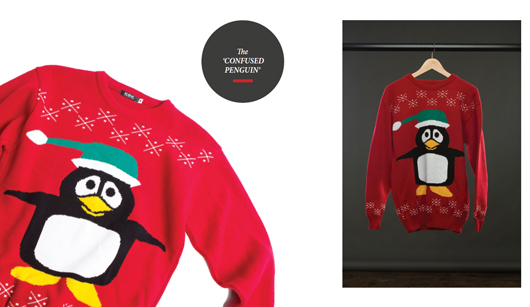 Christmas Jumpers; don’t you just love ‘em? That’s why, to promote our self-publishing client Blurb during their critical Christmas sales period, we decided to create a Blurb book to celebrate them. The whole process was a breeze and completed in two weeks flat – from buying and shooting the jumpers (courtesy of H&G friend, photographer Ed Miller) to designing the book and getting it for sale on Blurb’s site. We even had the jumpers and book curated by the lovely Krista Madden, founder and editor of fashion blog Beauty and the Dirt. The media sell-in has just begun, but already the Mail Online is loving our work. Clickety-click here to see. All in all a brilliant and simple example of giving the media what they crave – timely, relevant, visual and compelling content.